As part of the deal Rogers granted sub-rights to CBC for the English-language broadcasts of "Hockey Night in Canada," as well as to TVA to for all national French-language multimedia rights. This season, the various networks of the Rogers’ empire will broadcast more than 500 regular-season games and more than 1,250 hours of NHL coverage. 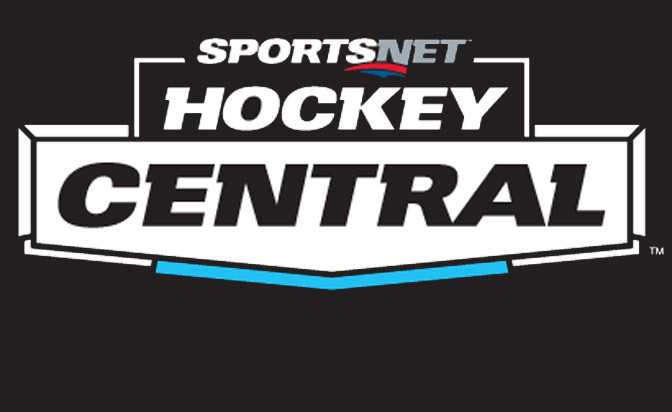 Hockey will be on Sportsnet, Rogers’ flagship station, seven days a week with live games or the network's studio shows, Hockey Central and Connected. With the new 12-year deal in place, Saturday nights will feature more hockey than ever. Rogers, in conjunction with "Hockey Night in Canada," will air more than 130 games nationally throughout the season. HNIC will feature a minimum of four games each Saturday night and feature more than 20 all-Canadian matchups, featuring all seven Canadian teams. But Saturday is not the only night reserved for extensive nationally broadcasted hockey games. Rogers will have exclusive windows on Wednesday night and Sunday night as well. On Wednesdays at least one Canadian team will be featured in each of the 35 Scotiabank Wednesday Night Hockey games on Sportsnet, including nine all-Canadian matchups and nine doubleheaders throughout the season. Sundays are the newest national night on the NHL schedule, featuring Sunday Night Hockey/Hometown Hockey broadcasts on City TV. The Sunday broadcast will originate from community rinks across Canada and will feature profiles of players from those communities and stories about grass-roots initiatives in the area. Sportsnet is the official regional television broadcast rightsholder for the Calgary Flames, Edmonton Oilers, Toronto Maple Leafs and Vancouver Canucks. The rights to the Maple Leafs are a 50/50 share with TSN. The coverage does not stop when the regular season ends. The deal provides Rogers, again in conjunction with HNIC, with the ability to show up to 105 Stanley Cup Playoff games. In all, 13 different networks in Canada will air games: CBC, City, Sportsnet East, Sportsnet Ontario, Sportsnet West, Sportsnet Pacific, Sportsnet ONE, Sportsnet 360, Sportsnet Radio Network, FX Canada, TVA, TVA Sports and TVA Sports 2.